This blogpost may contain affiliate links, if you choose to utilize those we may be compensated at no additional charge to you, to see our full disclosure policy click here. A few years ago my family and I were visiting Disney’s Epcot Park, perusing the various nations represented around the lake, we strolled into “Norway” and a heavenly scent sent me searching. Typically I am anti perfume, I never bought or used perfume before this day. I would call it a lifechanger in the scent department. I stepped into the shop I believed this heavenly scent was coming from and before me stood a beautiful middle aged gentleman with white hair, he took my hand and asked to massage it with a lotion. That lotion was scented with Laila (a scent inspired by his mother), and I drifted to heaven on a cloud of it as he spoke and massaged my hand. I checked the price (and nearly fainted) and although I was in absolute love with this light, clean, not too floral scent I couldn’t stomach paying $200. Sorrowfully I took 2 free samples he offered me and went about my way. I used those samples sparingly and only on the most special occasions because I loved it so and did not want to run out (they lasted me nearly 2 years). Christmas 2017 rolled around and found me sadly out of those samples and my husband caught me opening the little bottles adding water in an attempt to at least have enough to get through the holiday festivities. My birthday is just a few days after Christmas, my heart nearly stopped in my chest when I opened my gift to find a bottle of Laila and a small bottle of the Laila lotion. I know that sounds a bit dramatic, but you just cannot imagine this scent without having tried it, and it lasts all day ever so light and clean smelling. He had ordered it from Norway at a very high price, he too had been sad to see me walk away that day with only those two very small samples. I was thrilled beyond words and that bottle lasted all year long, and this year I received (very happily) the same gift. 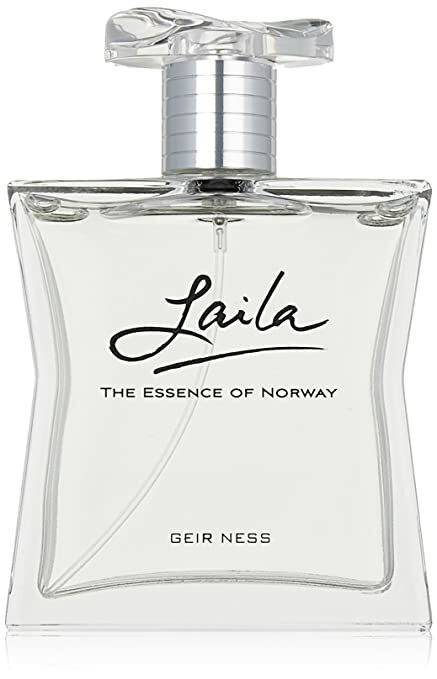 This year though, Amazon is offering Laila Perfume $58 at a much lower price than the original price we encountered. It’s still the same long lasting heavenly scent, but at about 1/4 the original price. I am in heaven, and I think you would love this too! Try it out! Guys….get this for your wives for Valentines Day! Wives, ask for this for Valentine’s Day! You will NOT be sorry!